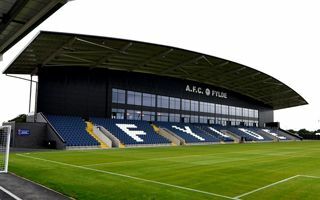 Young and ambitious team AFC Fylde opted to secure their Football League status by 2022 and one of the means is a brand new stadium. 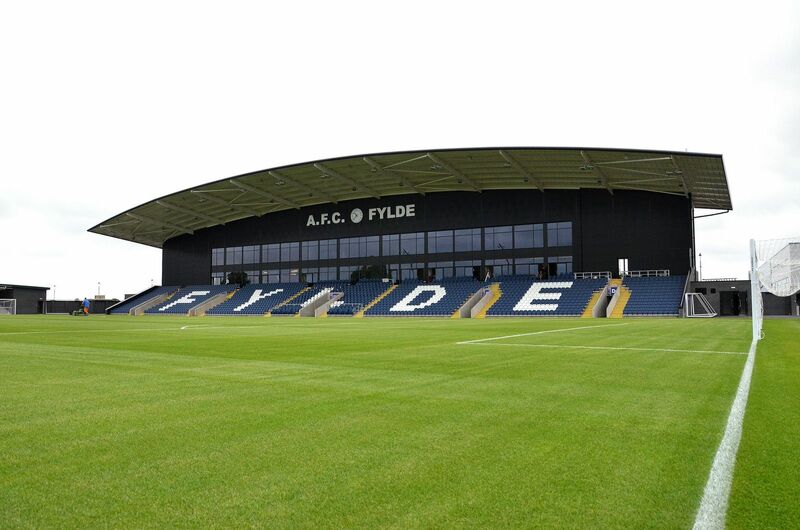 They had invested in their previous home in 2006-2016, but by the end a the successor was already under construction just off the M55 motorway. 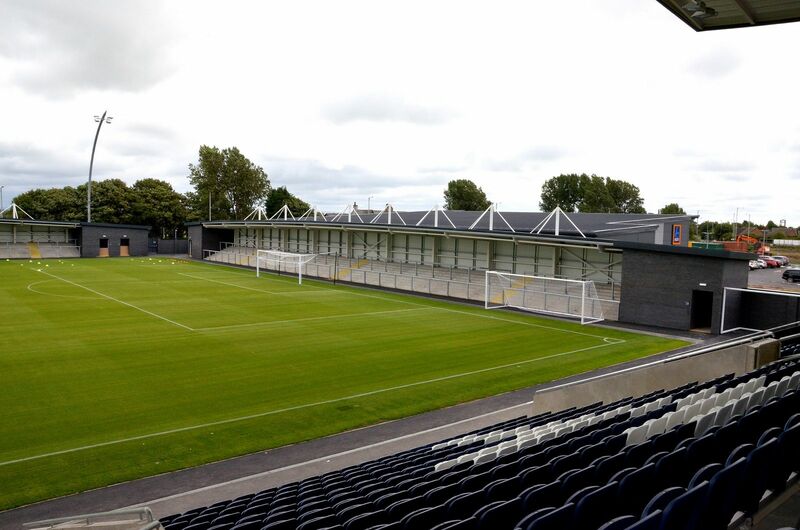 Designed by renowned English office Frank Whittle Partnership, the latest stadium is simple yet elegant. 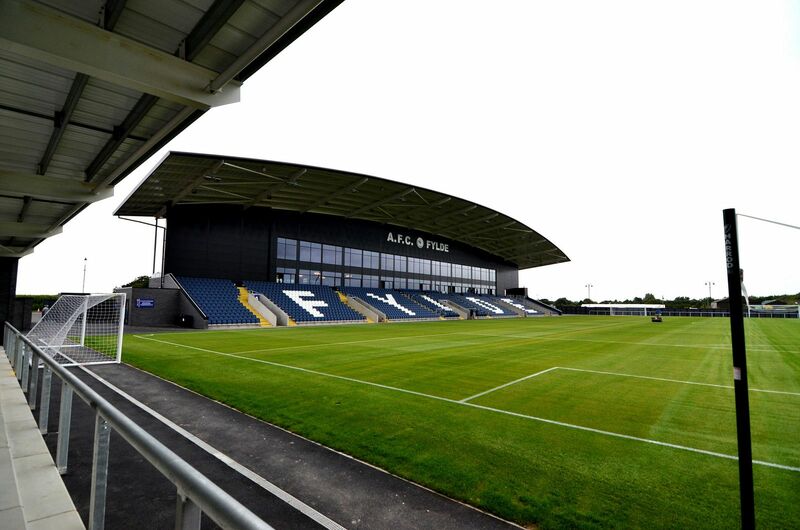 Using almost solely black and white colours in outer/inner cladding and combined with smooth, curved form of the roof, this stadium might be taken as an example for aspiring non-league sides. 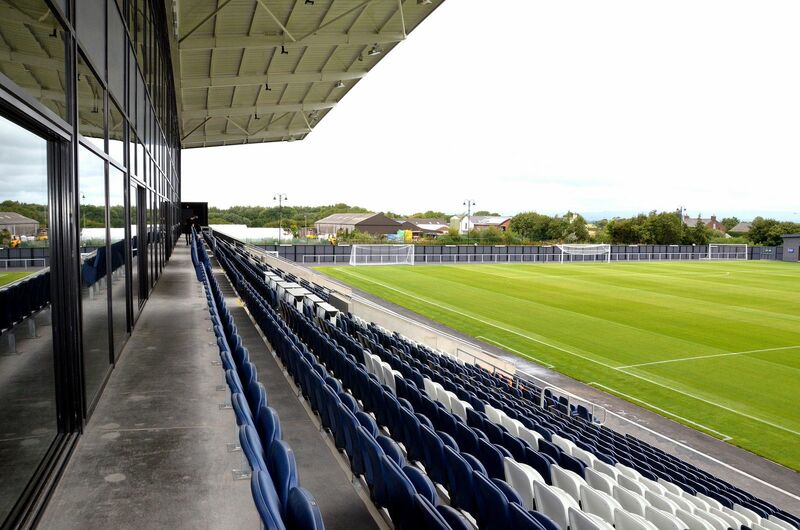 Delivered in 2016, it has three stands, of which two (east and south) comprise of covered terracing. 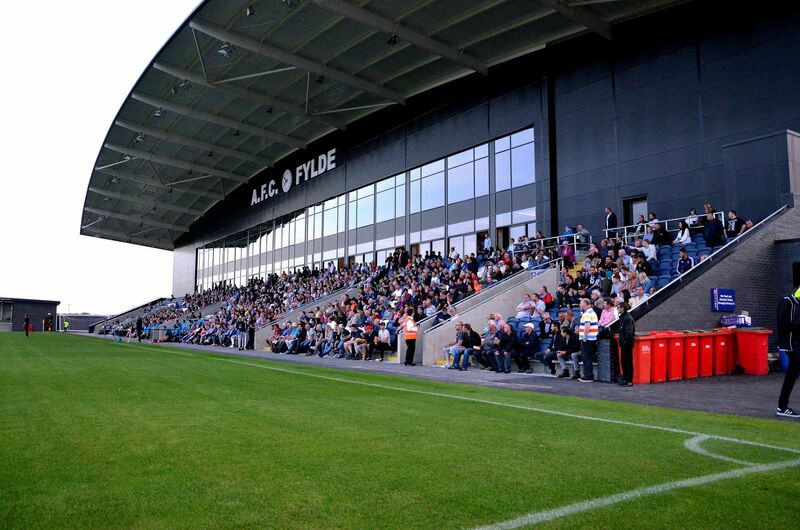 The main grandstand offers 2,000 seats and hospitality areas hard to compare with other non-league teams. A 290-seat pub, 80-seat restaurant and a cafe for 40 people are the key elements of its offer. 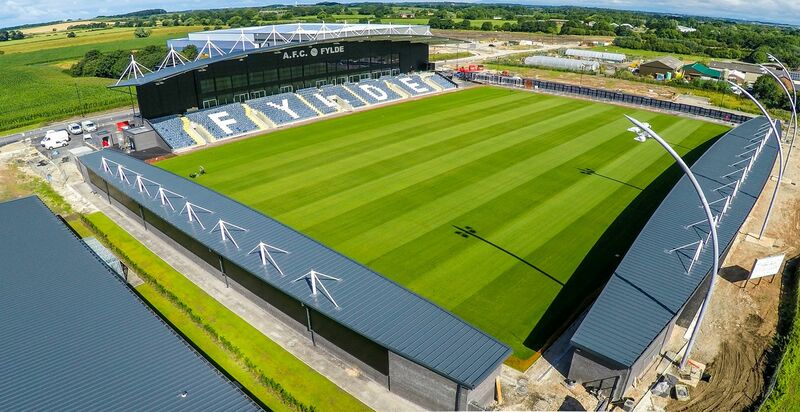 Though built with the goal of enabling future expansion, the stadium is accompanied by a supermarket just behind the south end. There is also a gas station built as part of the same project with prospect of a small hotel joining the facilities in the future.